It is said that Saigon is a busy city with an industrial lifestyle, but you can still find peaceful corners somewhere in this city. For those who are passionate about travel photography, these are three fabulous cafeterias in Ho Chi Minh City that take you to a quite world among the crazy life of the modern city. 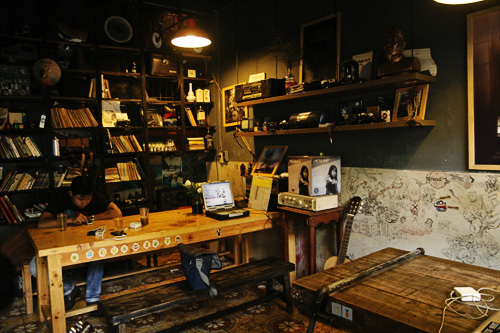 Appeared in Saigon for 3 years, the Hao Café’s style is designed as can be seen in northern ones. It is a two- floor café which decorated anciently to bring customer the Northern quiet atmosphere. Come to the café, tourists can hear orders that can be common found in the north such as “cho toi mot den da” (a cup of coffee with ice) or “nau da” (milk coffee with ice). All the main furniture including tables, chairs, clocks are wooden ones and are designed to leave intimate and friendly expressions. The walls are decorated with a range of black and white photos of daily life moments. 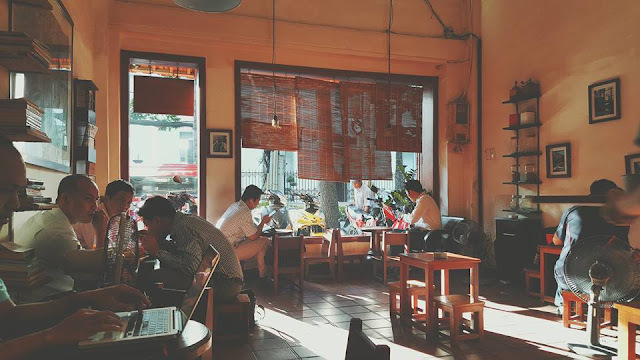 From the view of Hao Coffee, you look out to Nguyen Cong Tru Street which is all day passersby crowded. Especially, people who come to this cafeteria are almost film cameraman – a special form of art. 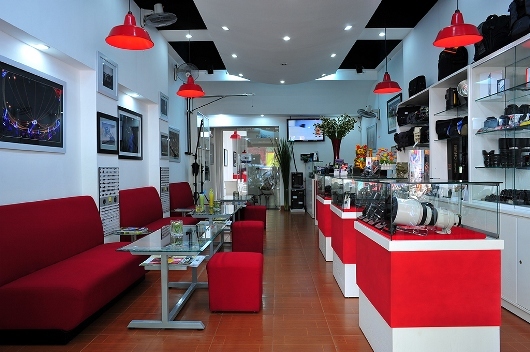 Located on Dinh Tien Hoang Street (District 1), it is an ideal address for those who are really interested in photography. The Photo’s customers are at variety of ages, but most are middle-aged people. Once came to there, you have chances to take photographs, to exchange understanding of photography, or to share photographing techniques. Standing inside an apartment building on Ngo Thoi Nhiem Street, this small Coffee bar is one of the most favorite options of photo passionate people, especially young people. Many people come to the café to comment or to exchange their skill or taking beautiful photographs. Not too large space, but thanks to the owner’s ingenious arrangement that make the bar more expressive. The furniture inside and its orders show us a combination of generosity and modern as the Saigon lifestyle. Cross the narrow stairs, visitors can see the bar with fragrant coffee and amazing art pictures. The second floor balcony, where people can watch flowers, trees and crowded streets, is an ideal space for those who would like to take a rest in an individual corner.